With our Build-It-Yourself Feature, Start with a bare hull and customize it how you like. 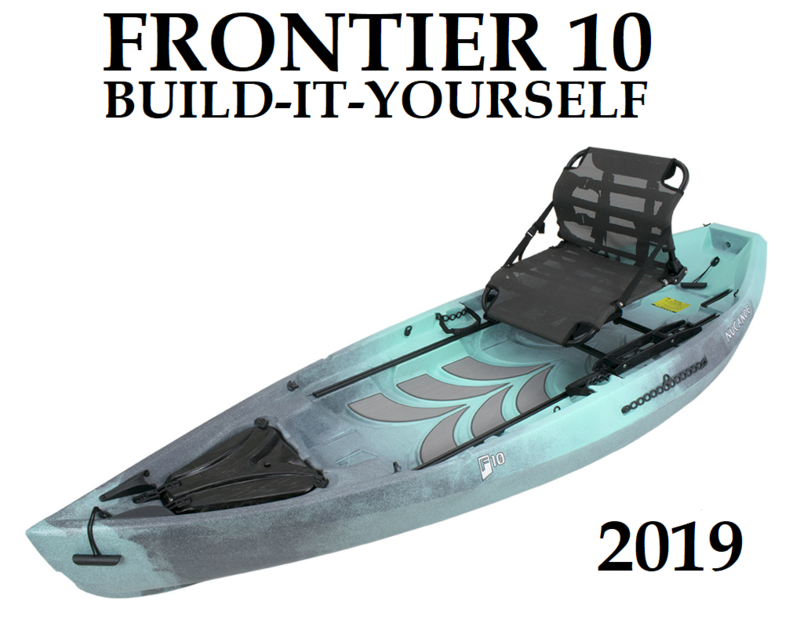 The Frontier 10 is the compact fishing kayak that is perfect for rivers and small lakes+ ponds. It combines awesome stability and stellar maneuverability, so you can spend more time fishing and less time paddling. The Frontier 10 has a 20″ wide deck, with loads of Freedom Track that can be outfitted as you like. Stand up or take advantage of the 360 seating to always face the action. The Frontier 10 is motor-ready and pairs perfectly with a PowerPole. Off the water, it’s 10′ length makes transporting it a cinch.